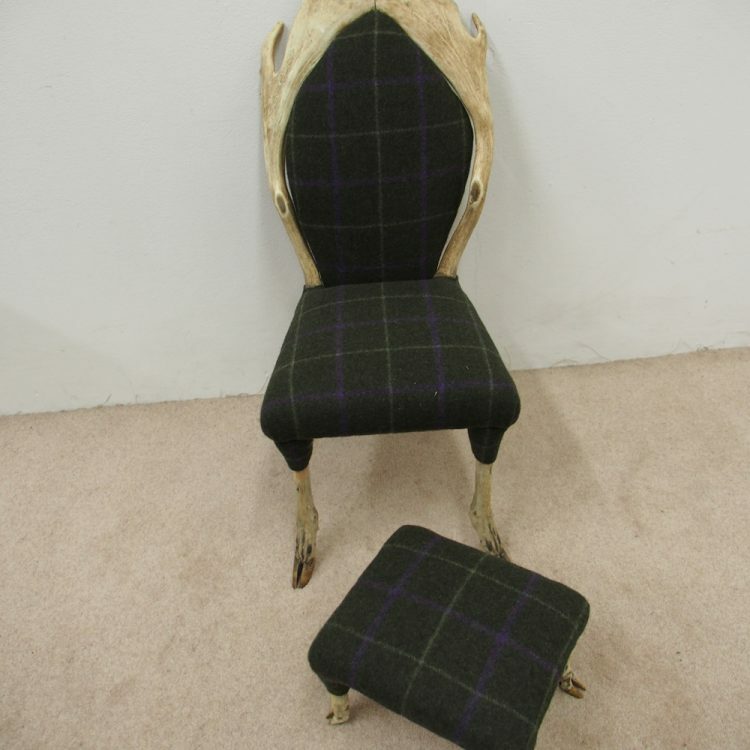 Circa 1900, zoomorphic chair and stool set stool made from fallow deer. 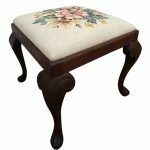 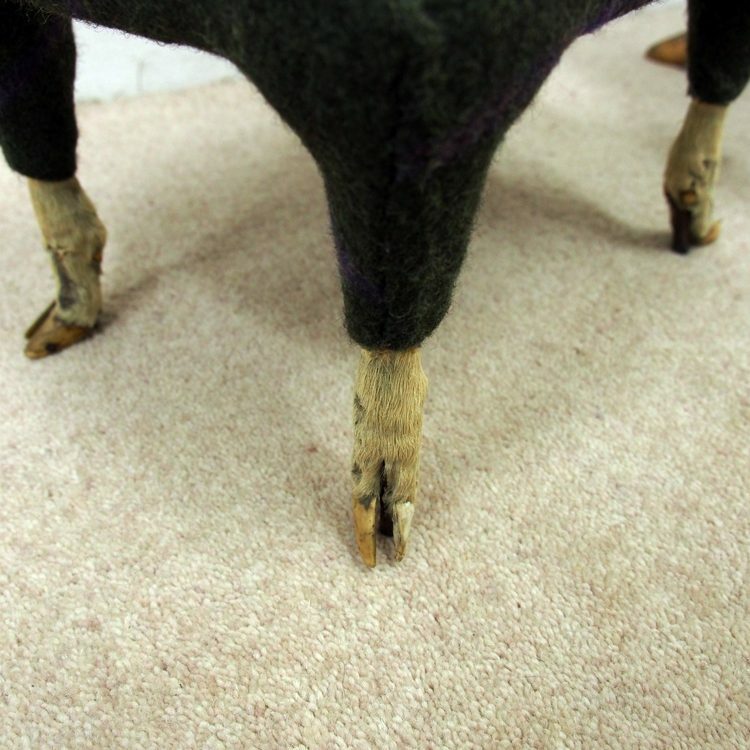 The foot stool has original taxidermy legs that have been re-enforced with steel rods to provide stability. 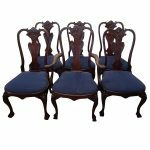 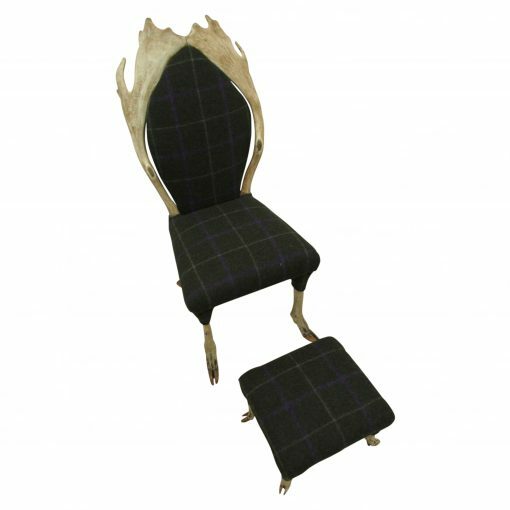 The set has been traditionally upholstered in tartan fabric and the chair is on a larger scale to the stool. 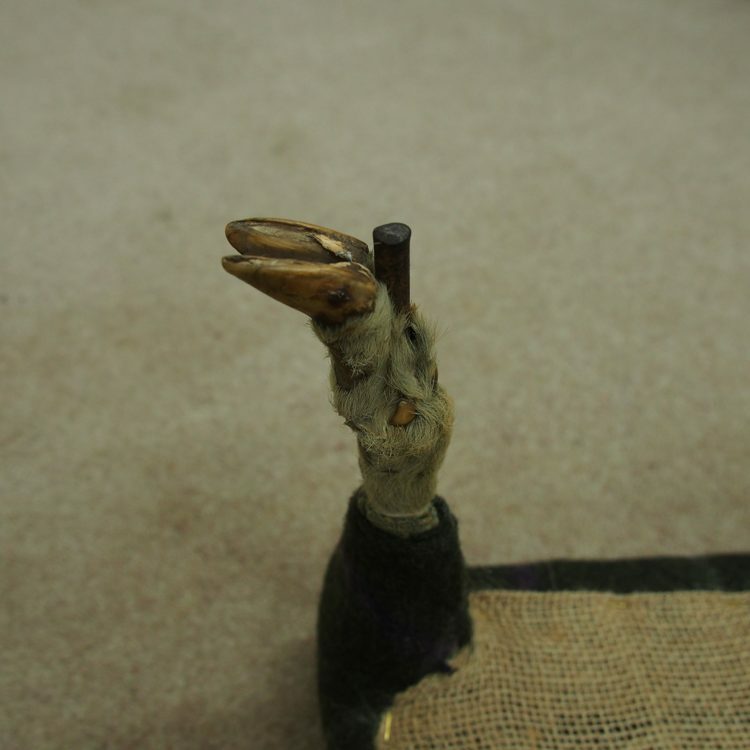 The antlers form part of the upright to the back and have been peg jointed at the top. 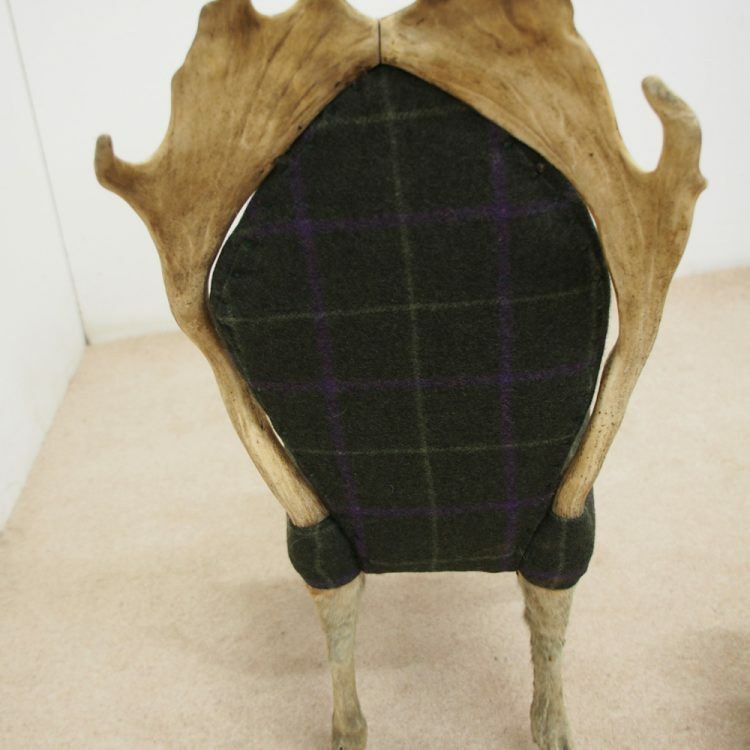 The chair has a stuffover seat and the legs feature the original fur and hooves, again enforced with steel rods.